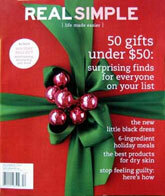 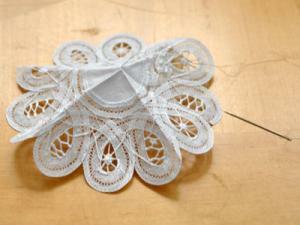 A great project to make with your kids for the holidays! 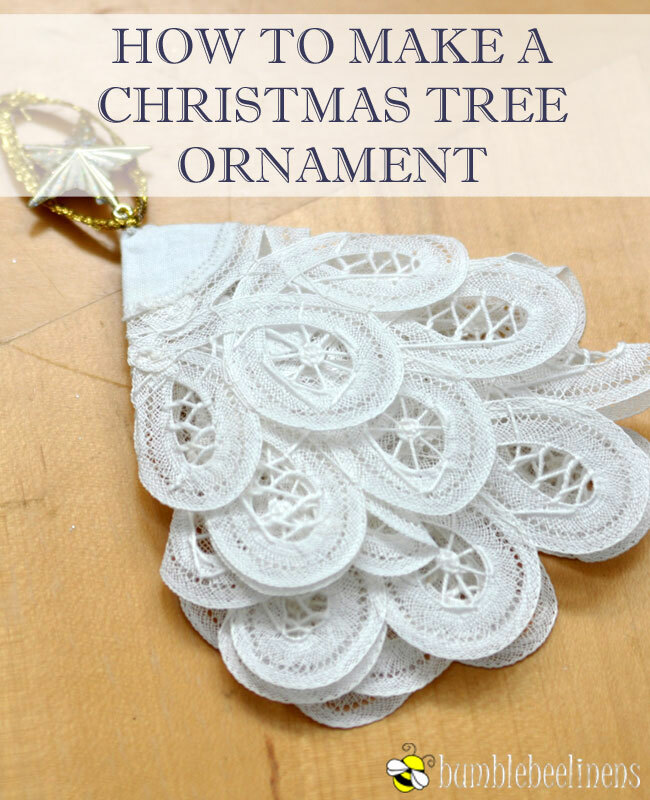 These Christmas tree ornaments are fun and easy to make and your kids will love them. 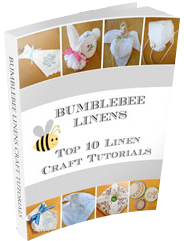 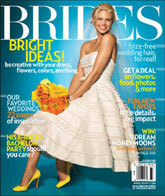 There is very little sewing involved and they can be made in less than 10 minutes. 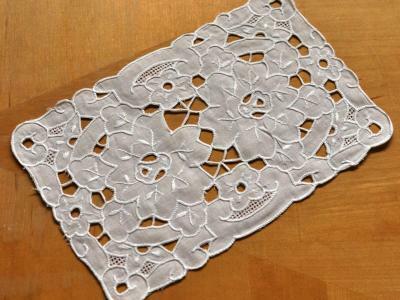 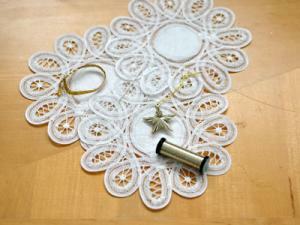 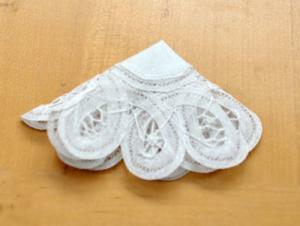 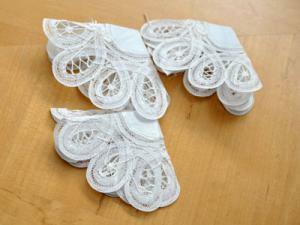 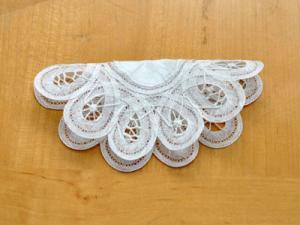 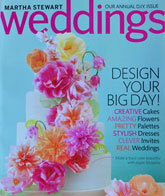 Our lace doilies or battenburg lace cocktail napkins are perfect doilies for this craft! 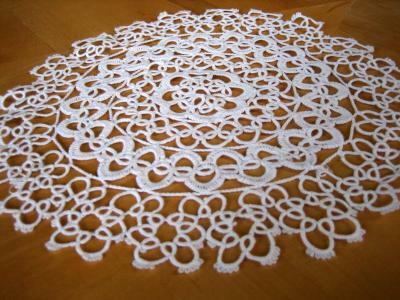 Thread the needle through the bottom of the tree skirt into the center of the doily. 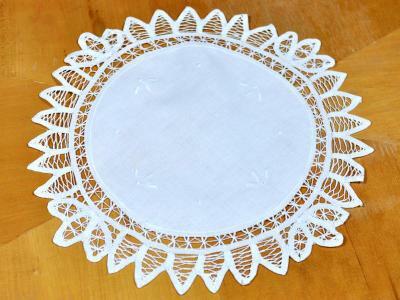 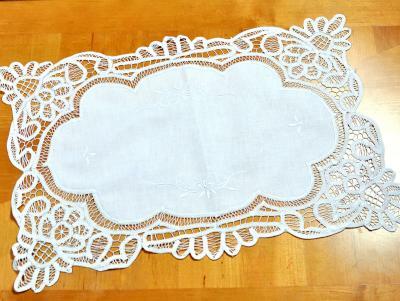 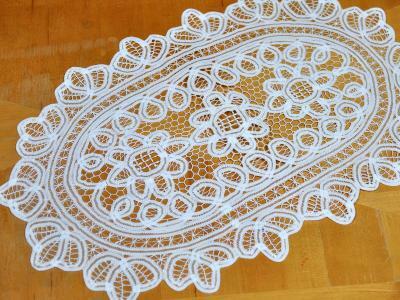 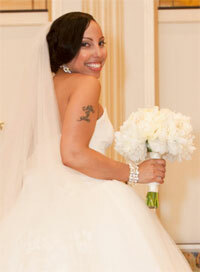 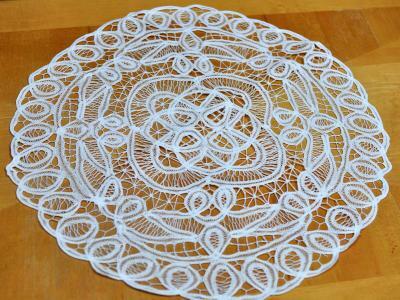 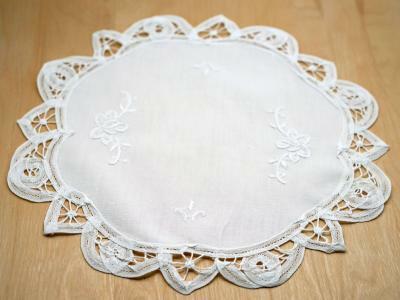 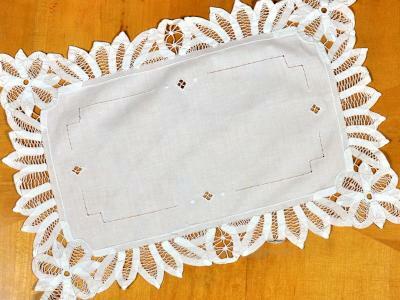 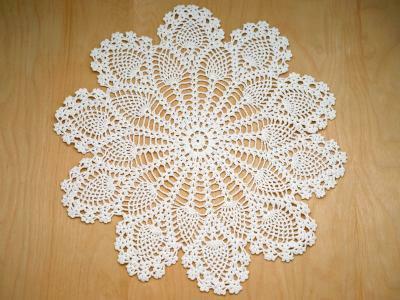 Repeat with second doily but be sure to leave a inch space from the bottom doily. 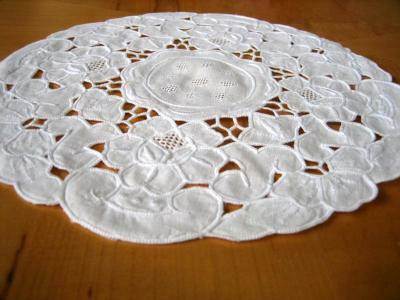 Repeat with the third doily, also leaving a space from the top doily. 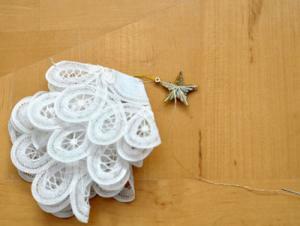 Attach the mini star ornament by threading the needle through the ornament. 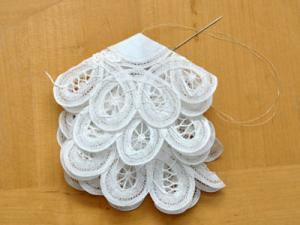 Add a ribbon loop to hang the ornament. 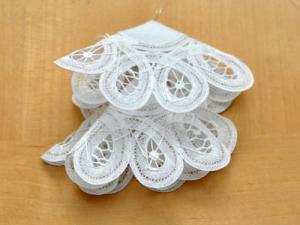 Congratulations, you have made a Lace Doily Christmas Tree Ornament.